Let's talk lips. Anyone who knows me knows that I have an obsession with lip colours. My fave brands right now are Chanel, Tom Ford & Estée Lauder. 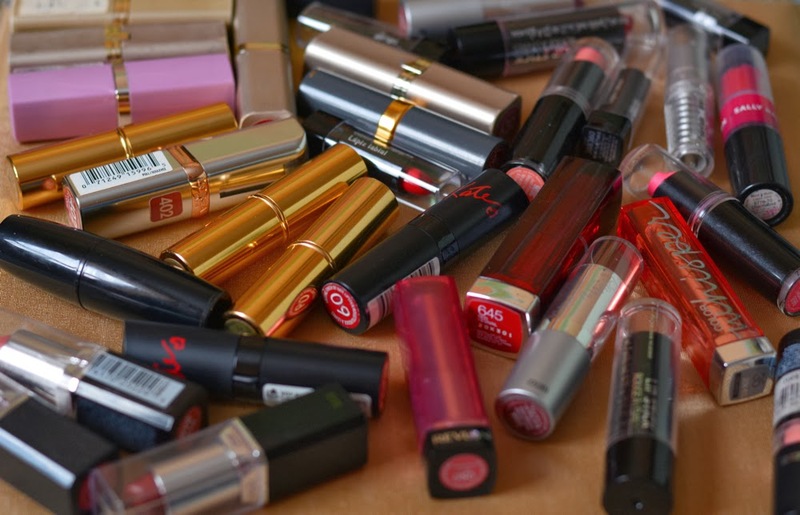 Although designer brands are preferable because the quality does reflect the price, selected drug store lipsticks can have the same effect. I usually prefer drug store lip sticks when I'm experimenting with colours and looks to avoid spend loads on a product I might regret. As Winter approaches, so do Holiday parties... which means loads of opportunity to dress up and look your best. Lips are a big part of this. I made a short list of lip colours suitable for Winter. 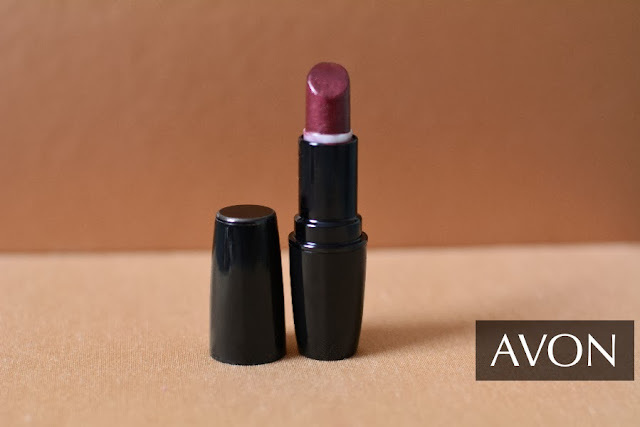 I stuck with drugstore brands because they are a little on the cheaper side and gives those who are not too familiar with lipstick a chance to try them out at affordable prices. 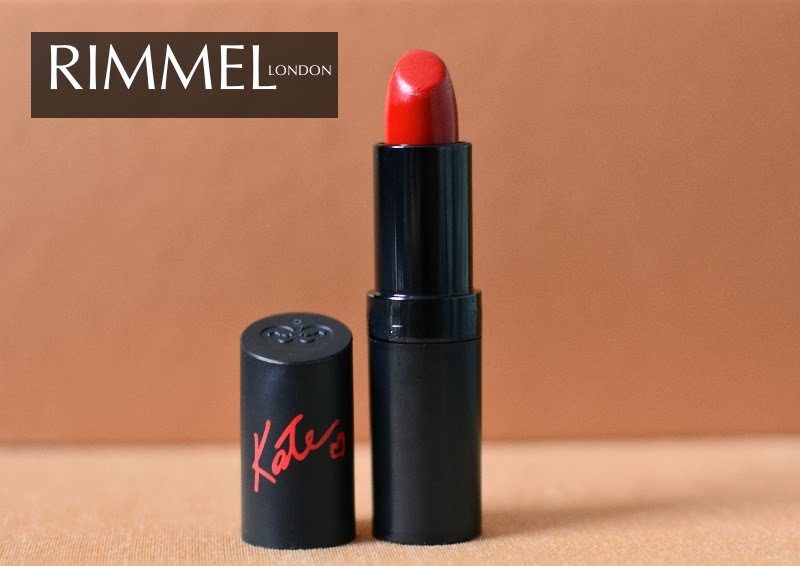 This poppy red colour from the Kate♡ line is a bold move yet safe enough for anyone to pull off. 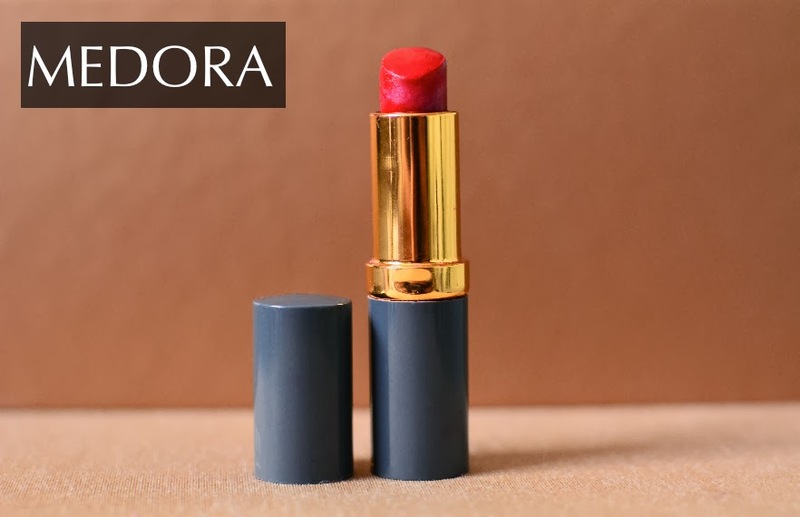 It's the perfect lip colour whether your a sequins dress kinda person or stick to the classics like a little black dress. 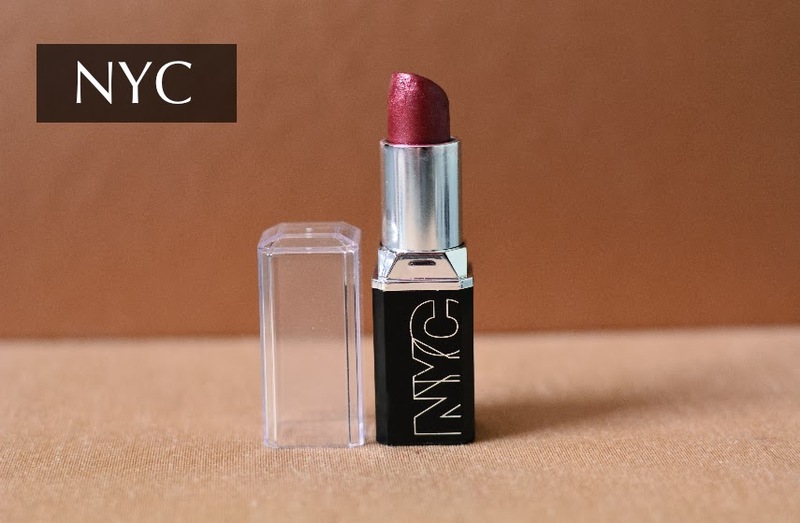 This bold pink-purplish shimmer lip colour from NYC is the perfect colour is you're the kind of person that enjoys getting dolled up but looking to avoid that extra attention. 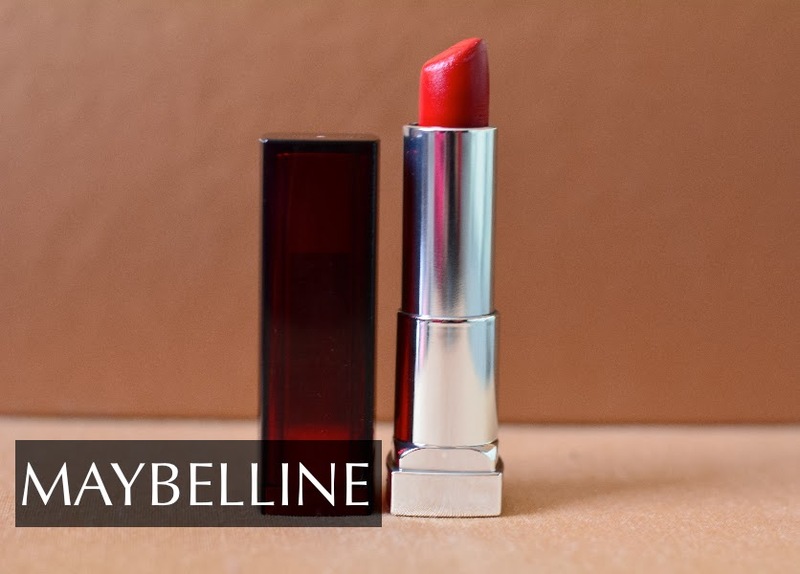 It revitalizes that pout with a sheer formula and quite suitable for a bold eye look. Maybelline's 'Red Revival' is similar to Rimmels 01 but this colour has a bit of a pink undertone for a softer red pout. It's quite moisturizing & long lasting. This purple shimmer lipstick is perfect of a night out during the Holidays. The purple is really opaque and helps to achieve that fierce look without wearing too much. It's really moisturizing which is perfect for those chilly winter nights that are bound to dry out that pout. I know this colour is not exactly drugstore...or it may be somewhere but I found it in my moms collections and had to give it a try. It's similar to Rimmel's 01 but its matte and extremely moisturizing. This would be an easy choice for a Holiday party because aside from its long lasting formula and matte finish, it smells AMAZING. 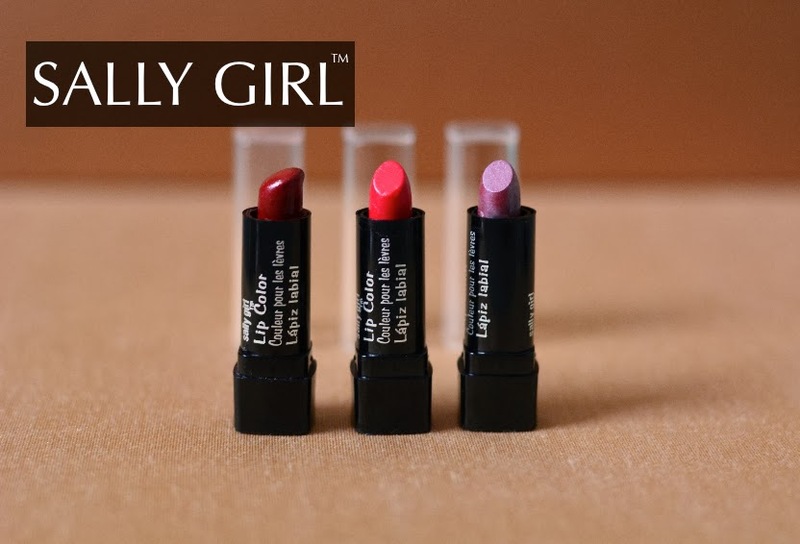 For those that are not huge fans of lipstick, I recommend trying out Sally Girl's mini lipsticks. Sold at Sally's beauty boutiques, you can find virtually any colour in all different bold and crazy shades. They are extremely affordable, around $1 or less. I know you can try out lipsticks at Sephora or other beauty stores but I like buying a bunch of the mini Sally lipsticks to take home and try out different make-up looks and find what suits me best. I love Milani lipsticks. They are so smooth and moisturizing and they have a great range of colors. My two favs are Violet Volt and Best Red.